Less than a month and a half before we leave…in 36 days we will leave this nice country and go back to Lebanon. Will I miss it? Of course I will; I’m even starting to prepare a list of the things I will be missing the most. The first thing I am regretting to leave behind are the theaters and their wide range of movie choices (I already talked to you before about this); I will have to get used to going back to watching exclusively American blockbusters, and waiting for this week per year when there will be the International Film Festival. 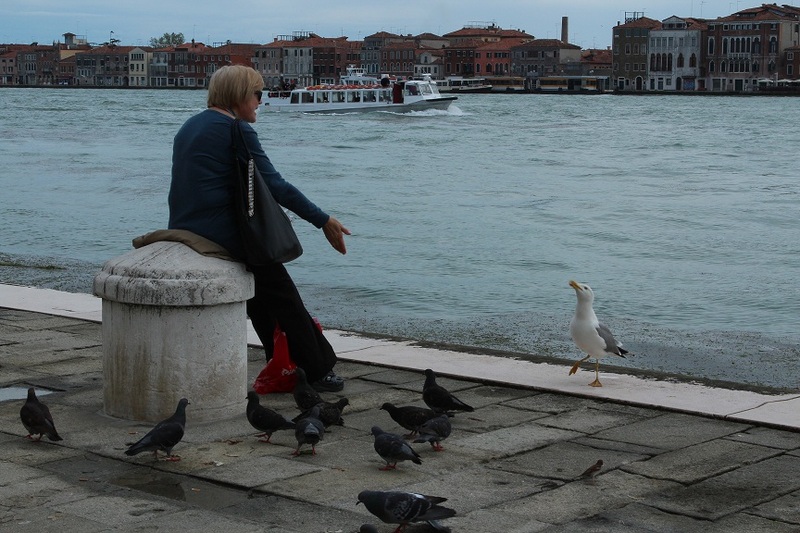 In the mean time I will leave you with this movie-like picture of a lady feeding the birds in Venice. I do remember the song from Marry Poppins 🙂 Great photo. Enjoy your 36 days…how wonderful you have so much more time there.